Though the calendar says it’s almost May, the cold weather (and today’s wind and driving rain) really make me wonder if spring will ever arrive. Meanwhile, like many Ontario wine fans – I’m wondering what the poor grapevines are looking like. 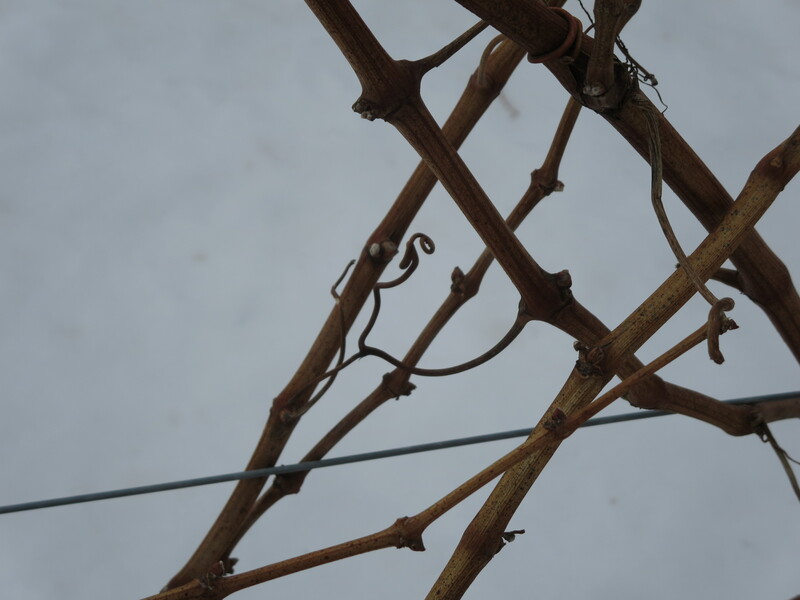 Since my March trip down to Hinterbrook to learn about how growers test bud viability, I’ve heard mixed news about what grape growers are anticipating. A few told me they’ve not bothered testing the buds because it only tells you part of the story – for example, it doesn’t tell you whether the vine has died. Regardless of whether they tested the buds, a number of those that I’ve spoken to said they’ve modified their pruning a bit, just in case. For example, in some cases they’ve left more canes, and in some cases they’re leaving on “suckers” (shoots that grow from the base of the plant), which they would normally remove. In mid-April, for example, Stone Church mentioned in their newsletter that they’re expecting their Syrah and Sauvignon Blanc crop to be reduced by 75%, but that they expect the rest of their grapes will come in at 70% of normal. Wes Lowrey of Five Rows Craft Wine recently reported that most of their varietals are showing about 50% bud viability, which he considers good, given the harsh winter they had. He said they’ve left a few extra buds and given the thinning they normally do, he hopes the crop levels won’t be substantially reduced. Others noted that some of their winter heartier varieties, like Marechal Foch, seem fine. Bookmark this article April showers bring … ? ?